One of the best ways to improve the acoustics of any room is to install new ceiling tiles. Modern tiles are designed to dampen ambient noise while looking great in the process. As a wholesale supply of construction materials, we provide you with a wide variety of options for acoustic ceiling tiles in Baltimore, MD. Couser Supply, Inc. carries only the top brands in the industry, meaning you can stay confident with any pick from us. We also offer all of our materials at competitive rates. There's never a need to rely on another supply company after you partner with us. With a wide range of applications, our acoustical ceiling tiles provide the calm environment you're looking to create. The overall noise level will decrease at the tiles do their job. Whether you're constructing a brand new home or a restaurant, we have the right options for you. Due to the modern advancing in manufacturing, your new tiles will stick around for years to come. Make the switch to acoustic tiles today by shopping with our construction supply company today. Many people think that they have to compromise on quality to get a great deal. With us, you can get top quality acoustical ceiling tiles that fit your budget. You can spend the rest of your day focusing on other concerns. We provide reliable tiles at the best prices around. You can be confident with your purchase each and every time you order from our construction supply company. We are always on the lookout for ways to improve the bottom lines of our customers. Discover why clients throughout the area choose us first for their construction materials. With our expansive catalogue, it's easy to find acoustic tiles that fit your design plans. We only carry materials from the top manufacturers. From homes to businesses and retail buildings, our supply company is sure to have the right pick for you. We work closely with every client to make sure that you receive exactly what you want. 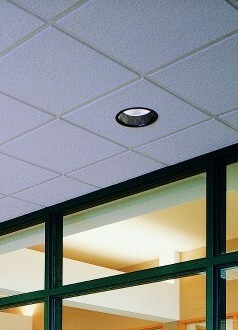 Acoustic ceiling tiles add a great feeling to any space. They're not just limited to busy workplaces. Homes also benefit from added noise dampening, especially kitchens. You and your clients will greatly appreciate the extra touch of quieter rooms. Discover the difference our ceiling tiles make for your construction project by browsing our stock today.